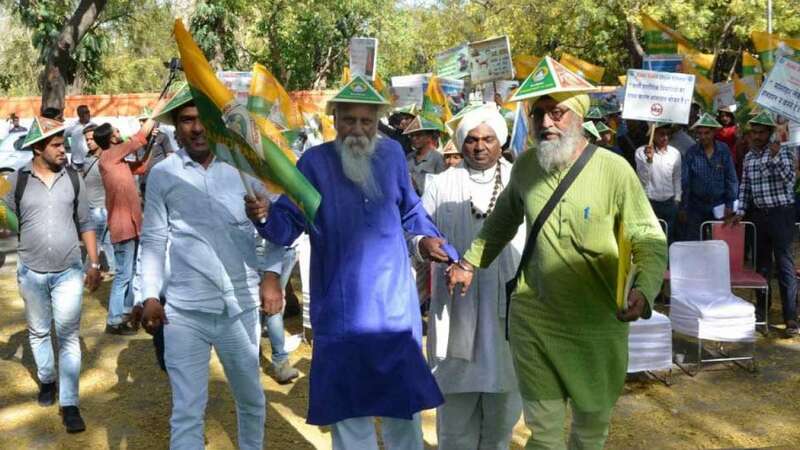 New Delhi : On Sunday, Pyramid Party of India organized its first-ever silent rally (Maun Dhyan) at the historic Jantar Mantar on March 31 to usher in the new era in Indian politics. The rally aimed to pledge the countrymen to go vegan and contribute in the nation-building. The silent rally embraced several activities. The mass gathering included a meditation session which will was attended by Pyramid Masters and party members from all over India. Earlier, Pyramid Party of India (PPOI) has been fielding candidates in South India, now envisions scaling up its reach by making its presence felt in the North Indian states. The party has already released its manifesto for 2019 Lok Sabha and Assembly Elections and with the 'Maun Dhyan' it wishes to draw the attention of the voters towards it. The founder of the Pyramid Party of India, Brahmarshi Pitamaha Patriji, “Pyramid Party of India said, “Our party will contest various Lok Sabha seats in the states of Karnataka, Tamil Nadu, Andhra Pradesh, Telangana, Gujarat, Uttar Pradesh, Madhya Pradesh, Haryana and Delhi NCR. We will field candidates for every assembly seat and we are confident about creating a much-needed stir to move the conscience of the voters and promote the idea of self-empowered and self-governed nation." Talking to the media, Madhavi D, National Secretary said, "Pyramid Party of India is incepted with the goal of conscience and intellect awakening of Indian. It is aimed at transforming the People of India into meditators, enlightened persons, vegans, and peace-loving people during our current lifetime itself through the methodology of the Electoral Process. Only Enlightened people are the right people for Good Governance. Let us choose and elect only the Enlightened Masters."